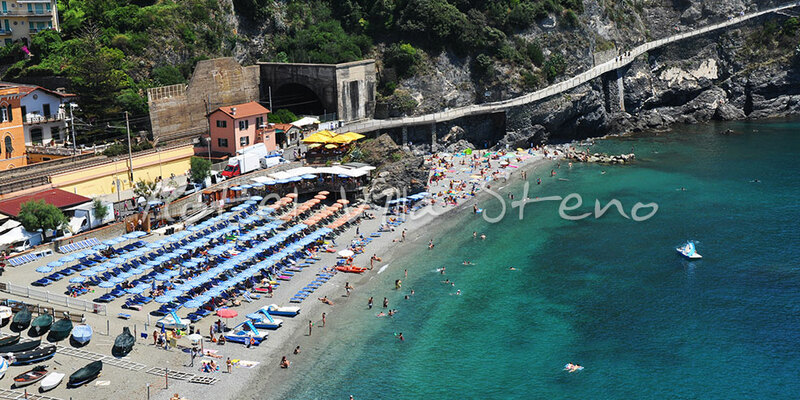 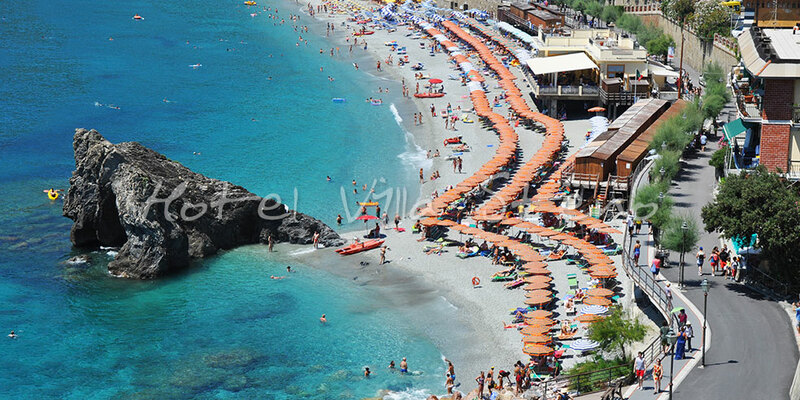 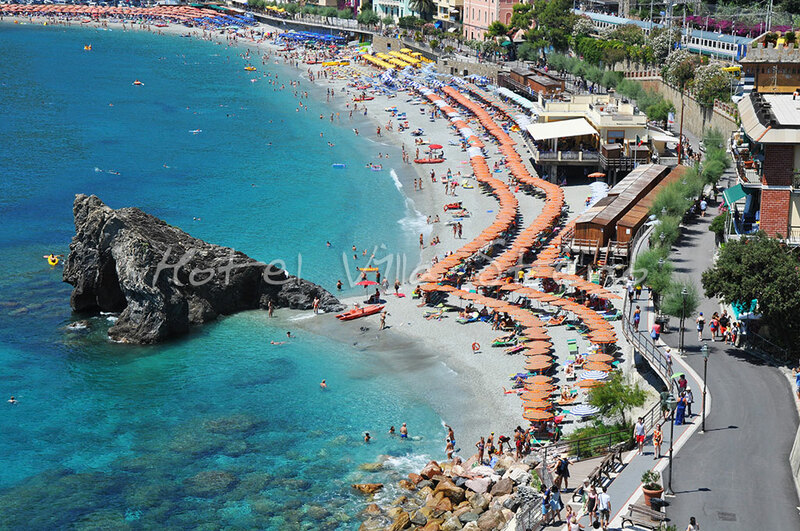 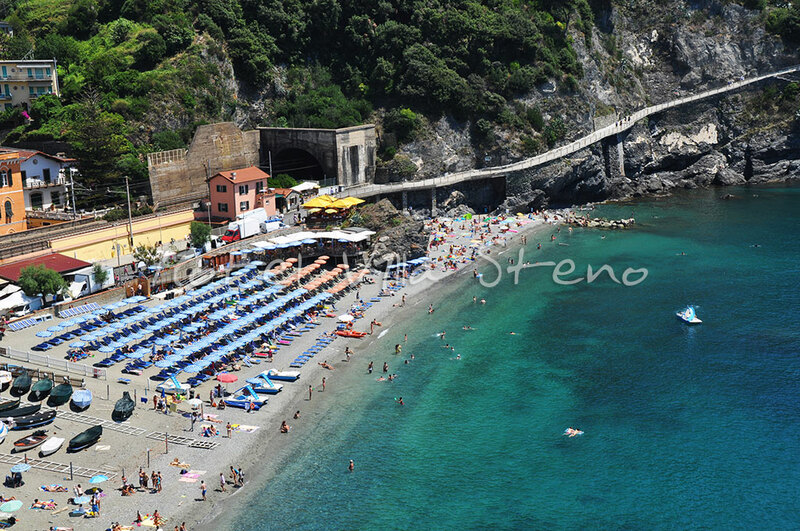 Monterosso is the only village in the Cinque Terre with its own real, full-service beach. 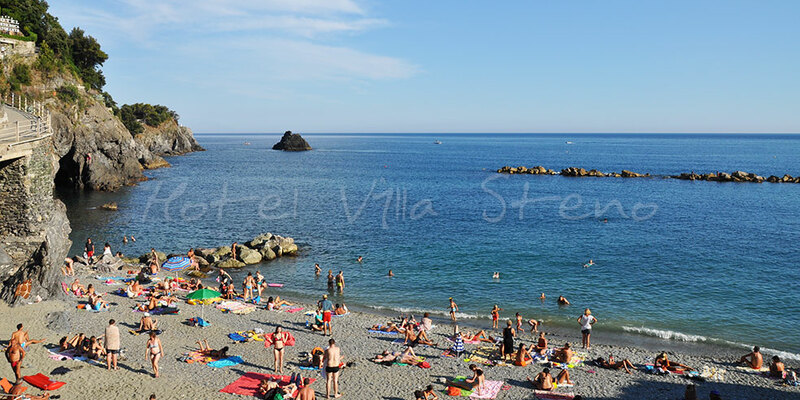 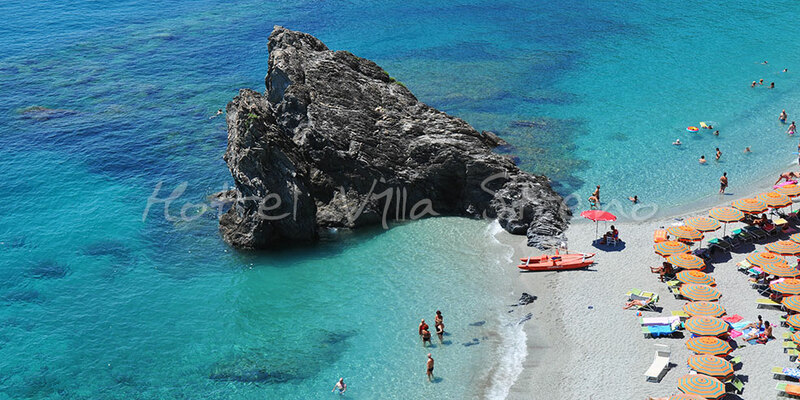 The old town beach is at only 300 meters (4 minutes walking) away from Hotel Villa Steno. 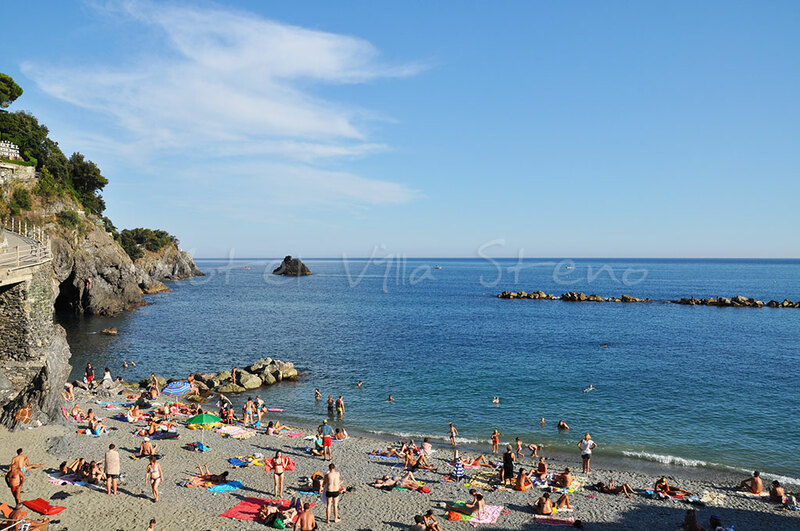 Beach facilities usually open in mid-May and close at the end of September, but weather permitting, you can swim until the first two weeks of October. 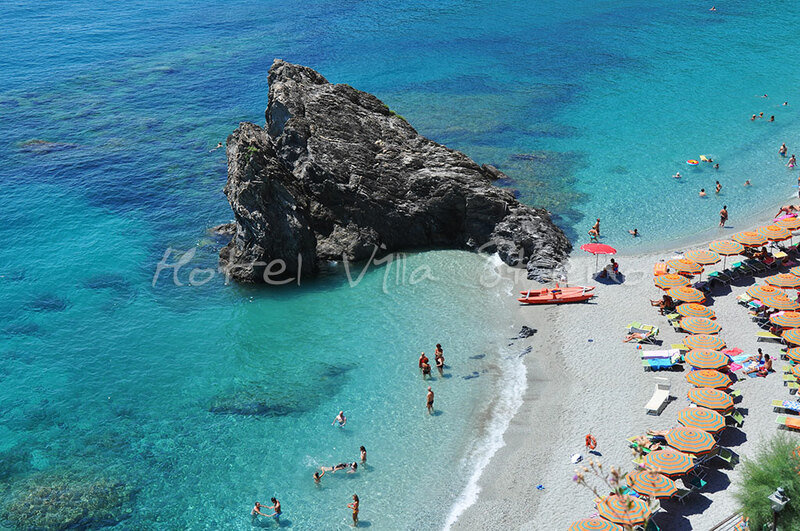 You can rent umbrellas and beach chairs from the bathing establishments, or you can also rent a pedalboat or motorboat for a day to explore the crystal-clear water and the hidden coves of Mediterranean blue sea.